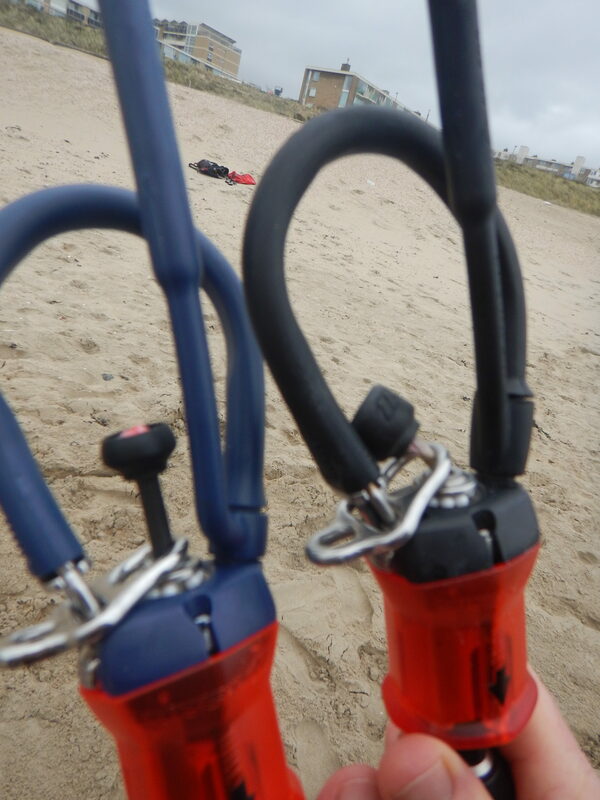 Previous articleRonix and Kiteboarding; an expensive relationship? The only thing that I can come up with is a stretched bridle lines or the lines from a different bar? Sorry to say we can’t help more, we just don’t ride that big of a kites. Thanks for the reply, yes we are talking back stalling. According to her she tried every setting on the back lines but last time I checked, she was setup in the middle. The 7m duotone Dice works great for all her unhook needs with more lift than my 2016 so when doing hooked in she just doubles and triples her rotations as she gets higher for longer… But with the 13, she really struggles with her unhooked whereas the 2016 was just smooth and fun to unhook with in 15ish (a bit less for her, she would ride it when I could not ride anymore). Thanks for sharing these experiences. It is a bit difficult to understand what you exactly mean bu wrapping and chocking. Maybe those are some backstalling experiences? There are differences between those 2 versions of te Dice, but if that causes what you describe is hard to tell (we usually don’t ride or test bigger than 11m). And at which setting is the back line connection? GF was using my dice 2016 13m when the wind was too light for me to use (30kg difference). No worries, great raileys (unhooked of course) and basic unhooked stuff. She bought herself the 2018 and the kite keeps wrapping and chocking, I keep saying the wind is too light or to trim but she says she does and the other day it wrapped as I was riding a 12m Evo. Any Idea if the kite got harder to unhook? We understand what you try to say. Indeed the Dice has become more freestyle oriented and grew towards the Vegas. We did use the Evo 2018 last year. It was a bit too short of a session to make review about it. It is much easier but it isn’t like the the old Dice in 2015. If you are willing to change to another brand we would advice to try either the Cabrinha FX or the Naish Dash (22m lines!). Both are more like the old Dice. Hi Dave and wetestkites team and thanks for your very detailed reviews. 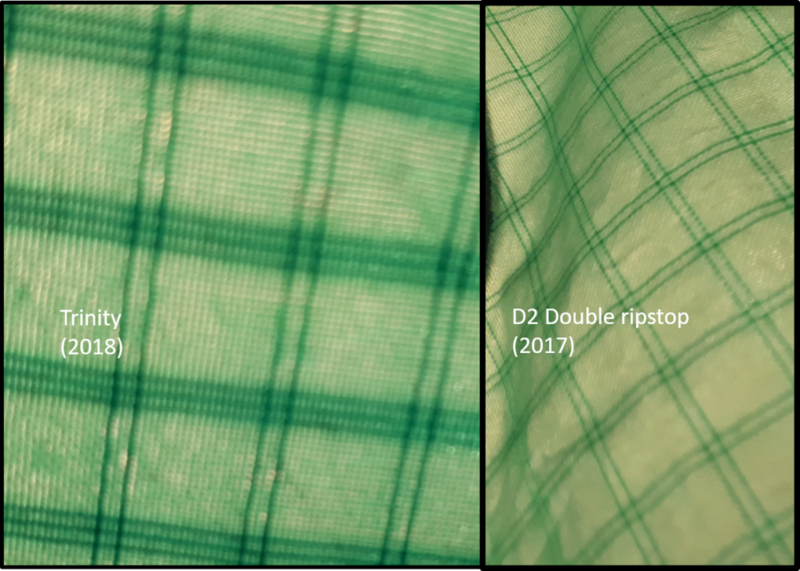 I recently changed my beloved dice 2015 9m ( worn out ) for the new 2018 version. 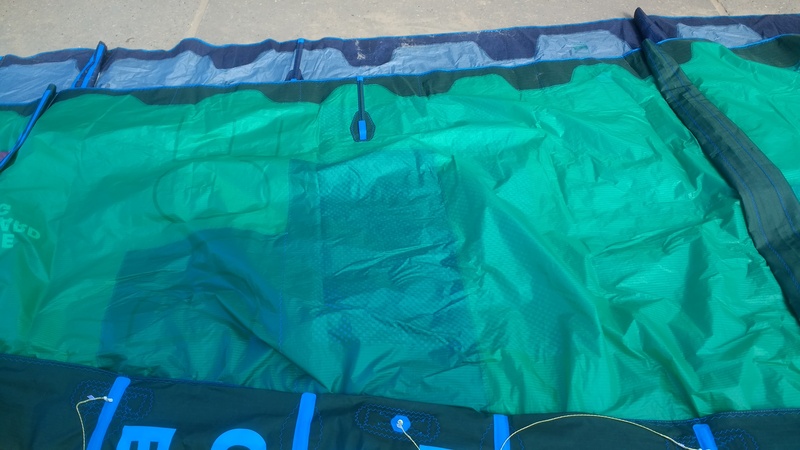 After 5 sessions in different conditions i cannot help but regret my old kite ! Since the Dice has moved more towards the Vegas the past 3years, has the Evo 2018 whith a 3 strut design moved toward the “old Dice ” ? Or should i get an old version of the dice back ? We haven’t got any similar feed back from any one. Which doesn’t mean it isn’t an issues, but we haven’t heard form it (yet). Some brands have smarter zippers compared to North; they are covered underneath with a fabric to prevent the zipper getting caught up with the canopy while packing and closing. But I assume you ruled that one out. Did you guys experience any issuese with the new fabric? Last month I noticed a small hole (2mm) in my canopy of a 10m 2018 Dice. Thought it was very weird as I take very good care of my kites and never had this happen before. So started checking my kites for holes before and after each session and last week I noticed the same type of hole on a similar location of my 7m Dice when I got of the water; so it got there during a session. Now I do not baby my kites, but I definitly take good care of them; judging from what I see around me probably way better than most. Sadly we did not get this opportunity yet. We hope to do it, but it will not be in the very near future. Hopefully people will push Duotone to not only get their hardware “reviewed” just at the regular magazines…So it also depends on people like you to ask them. We will update you when we get our hands on a 9m Dice from 2019. Hello, will you do a review on the 2019 dice duotone in the near future? I`ll probably get use to the bar pressure in the next few sessions and hopefully the power peak lag as well. I tried my friend`s 9m Hantu v3 (Ziankiteboarding) in the past and it feels exactly like it. thanks for you feed back! As for any tips; the most obvious one is adjusting the back lines to either more soft or on hard settings. Also tip to try with boots, it suits the Dice ’18 a lot. Just got myself a 9m dice 2018, can’t believe how accurate your feedback is for the less positive aspect of the new Dice. Also noticed, the transparent exit valve located at end of leading edge, leaks upon pressing it all way in and playing with it? Is that normal? Thanks for contacting. The Dice and FX (ons same line length’s) are pretty much the same. So I would say 9m again! i had cabrinha fx 9m2 2015 and i am 76kgr. shall i buy the north dice 2018 in 9m2 or 10m2. i have read that you recon to size up. It is quite stunning you can go with such low numbers. Maybe more clear is by explaining the Dice’s wind range compared to the Bandit; on 22m lines it is quite similar for the ’18 versions. Hope this helps you out? We measure it with the anemometer . I know the board is very old but it is like a pair of sneakers you never want to leave ? I think the difference is in how we know it is how many knots. When you say you go with 15 knots on a 11m, how do you know it is 15 knots? The Nobile 555 is quite a famous one (although quite old :)). When you say you can go on a 9m Evo, is this with 24m lines? I’m a bit surprised ! North site says 10mDice from 14 to 30 knots for a rider 80kg avarage. With 15 knots on a bandit 11 mt 2015 and my board I can easily go ,do transition and jumps . The board is a nobile 555 130/39 and is with me since they start to sell it. 10m Dice 2018 on 22m lines and 79kg’s starts get going around 19knots. On 24m lines one or maybe two knots less. Your board seem to be quite small for your size, we need to add one or two knots. The upper limit is of course a lot depending on your skills, but things start to get sketchy with this 10m around 28 knots on 22m lines. As you handle different size of the Dice 18 .. what do you think is the range of the 10m? I want to take it as one kite quiver .. I ride TT 130/39 and i’m 79 kg. That would be awesome, thanks and good luck. Great, it sounds perfect for me. I found something about it on kiteforum.com, so I was just curious about adjustments. I will let you know shortly how dice works like with wakestyle bar comparing to vegas. As far as we know there is no adjustments needed. Why do you think it needs adjustments? At the moment we don’t know this. We will ask around and come back on it if we have more information! I am thinking about wakestyle / freestyle with wakestyle bar. I heard that the wakestyle bar should be adjusted , 5th line extended or shortened. Do you may be know how to do it? We never did that. But we did use the Dice in ’16 on 5 lines. It wasn’t a succes. Maybe good for more freestyle/wakestyle, but you loose a lot on all other aspects. I am just curious is it possible ride Dice with wakestyle bar – 5th line set up? If yes, what is difference? We prefer 22m lines. If you losse too much low end, you can always get 2m extensions later! ps the Click bar comes with those extensions. I am 174 cm and 74kg. Shall i choose 22m or 24m lines for dice 2018 10m? The Vegas hasn’t been in our hands (properly) since 2015. We have to leave this question to others to respond. About the combo being heavy and the Dice we haven’t had any specific complaints, so no more or less responsive compared to comparable kites. What are you thoughts on the 2018 Dice verses Vegas for a 100kg+ guy, riding boots? I’m confident looping/basic unhooked/basic handle passes. Looking at riding twin tip 85% of the time, surf the rest. I’ve heard in the past that the Dice hasn’t responded well to heavier guys however it looks more like older vegas’ in terms of shape this year. Thanks for the feed back, that is what keeps us going! If you will take a Click bar which has the 22+2m extensions, your wind range might even be better as with the bandits before. We own 4 dice’s 2018, and dont like anything bigger as 11m either. 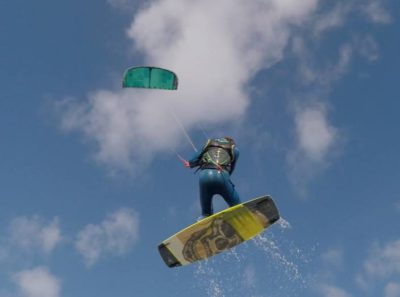 Those kites still can be fun for some unhooked sessions or trying new tricks, so we understand where you dislikes are referring to. So although more expensive, we would advice to take the 2018 Click bar with it and you will be very happy on it. Let us know how things work out! 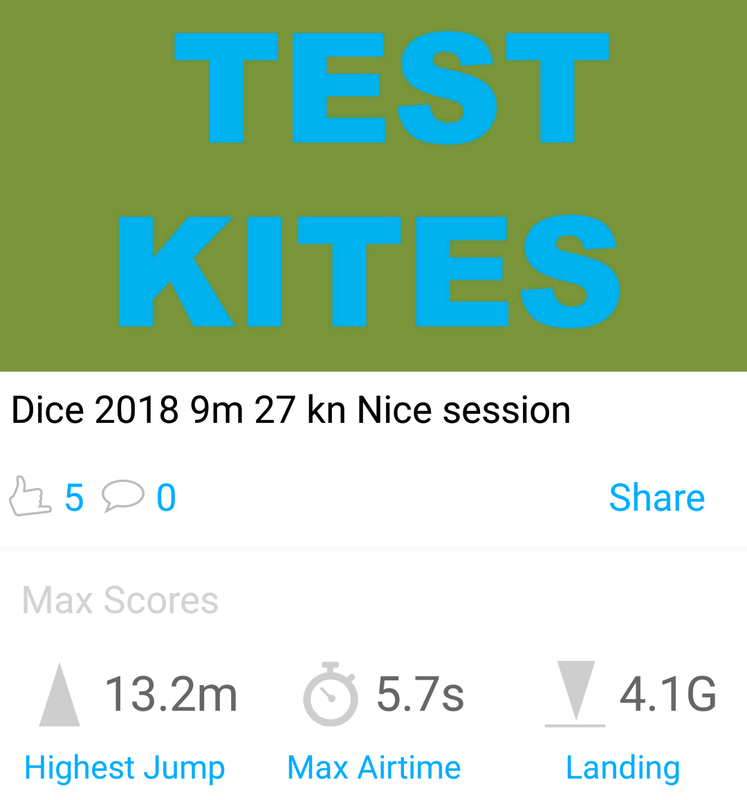 I’m really thankful about your reviews because i find it really difficult to test most of the kite-types and sizes as an ordinary kiter, specially when all of your friends ride with almost the same brands. My plan is to switch from F-One Bandit (2015) to North Dice (2018) and I was wondering if the same setup 8m/11m will be fine for the same wind range (with 22m lines) after the change? I’m 70kg and I ride with my 8m 70% of the time even when others (+10kg) go for the bigger kites. 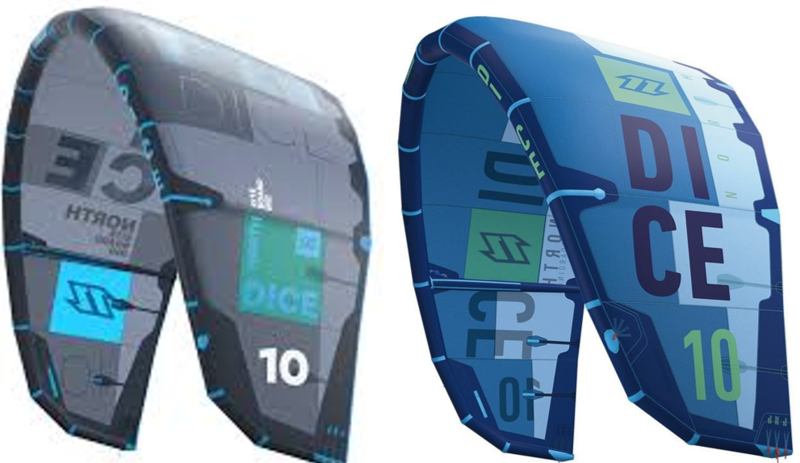 It seems like the Dice covers slightly smaller wind range, but I don’t like slow and”big” kites (12+) . Do you have any experience on this topic? As your are experienced by your landkite experience and it sounds like you will be looking for more excitement. In this case the Dice is on a large part much more fun. The Evo is mainly easier, jumps higher en with a bigger wind range…but once you get it right with the Dice the reward is much higher. thanks for the advice. I’m 24. I have a few years of landkite behind me. In the future, I want to do some jumps, kiteloops and rotations. As you are just riding 3 months our guess is that you can still go perfectly with the Evo. The Dice can be more fun, yes, But it also has some more difficult handling and a smaller wind range compared to the Dice. If you are really young and learning fast and already pushing it (and going for more difficult tricks), it will be a different answer. I have a 12m Evo 2016 and i’m looking for a 9m. I don’t know what to choose in 9m between Dice and Evo. The Evo is easy to use but i read the Dice is really fun. Can you help me in my choice please ? My level: 3 months of kite. I know how to go upwind and now i want to learn jump, riding toeside etc. Thanks for sharing… So I think 2017 is the pinnacle of the Dice then. I will be curious to see how the New 3-struts Evo will blend in. I might go 7-10 dice and 13 Evo as the 13 Dice is a good kite but in lighter winds, I find it more finiky to go upwind. 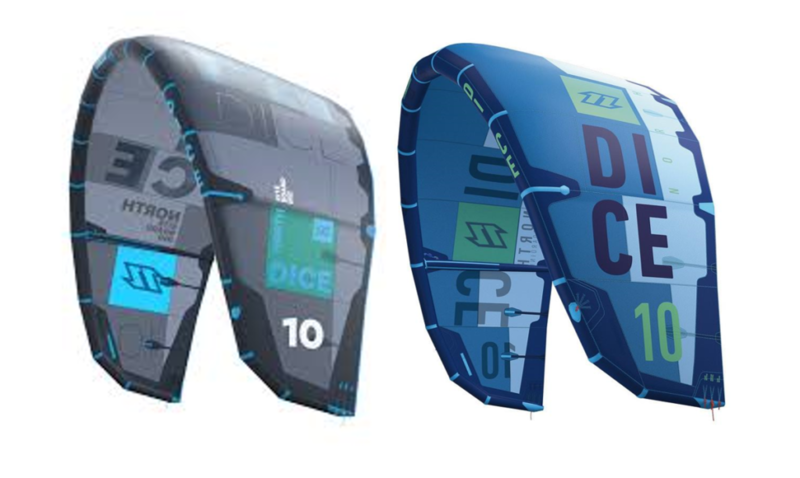 BUT the Dice 13m is a fun kite for the 12-18 range… Not so much in 8-13…it still does it with a big bord but more atally that the EVO. we are testing the Enduro’s V2 this week, looks very nice already from the first day! The gap between 6 and 9 can be an issue yes. The 8 would be fine from 24 knots. 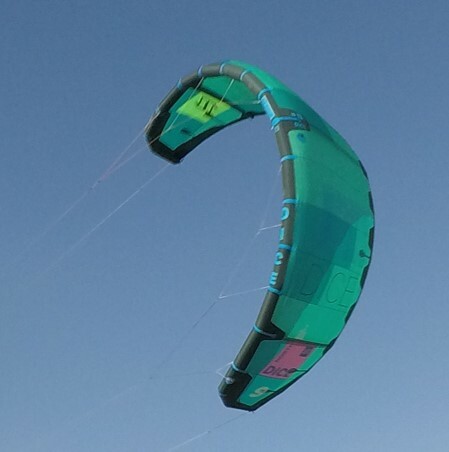 It is not a miracle low end kite, you will need the 2m extensions for that. Thank you Dave! So the gap 6/9 is easy doable on the Dice? How do you think is the lowend of the 8? The 11 kn is pretty light. It probably really needs the 12m and 24m lines. So the click bar would give this and the 22m option. The 7m can be used very well on average in 30 knots. But you are pretty light. So there is some doubt but the 12/9/7 option looks better or take a 6 instead of 7? would you go 6/8/11 or 7/9/12 on the Dice at 63kg/140lbs? Riding anything from 11-30 knots and having a Nobile Split and a FW Evo. We will be in Tarifa this month to test gear, and we will try to contact F-one. No promises so far…but we keep you updated when we have it. Will you be testing the new Bandit 2018, would be good comparison to the Dice 2018? We broke our front line again after a free warranty replace. Breakage occurred below the iron heart. The line is not well protected. We asked for the ’18 protection part, which is unanswered. We don’t know if is possible to put this on the ’17 version, but the split from ’18 can be put on without any problem. As said the main issue is at the end, but North is not telling us (yet) if the ’18 part can be ordered. Thanks for the compliment! We are trying to get the Enduro II but do far no Luck. We Will announce it when we got it. Great review guys! Keep it up! Thanks for the amazing review guys really helpful!